Almost every person who works a 9-5 job or similar craves the thrill of a Saturday night. Whether you’re going out with friends to a restaurant or night club or hanging out at home with your pet and spouse, Saturday night is usually one of enjoyment, rest, and relaxation. For most people at least. On Saturday June 8, 2015, one group of motorists did not get to enjoy their Saturday nights as much as they would have liked to. A major car crash on Arnold Drive, located just southwest of Sonoma, California, resulted in two people going to the hospital and one going to jail at the Sonoma County Jail. The California Highway Patrol responded to the incident and reported on what happened. Just before 8:30 p.m. on that Saturday night, Eladio R. Castro Naal, a 22-year-old resident of Petaluma, drove a 2000 Dodge Neon along Arnold Drive heading north. The vehicle was said to be weaving erratically back and forth, and witnesses suspected that the driver was drunk. As the Dodge came close to the intersection at Orange, close to where Brocco’s Old Barn is located, it continued to swerve. Eventually, the driver lost control of the vehicle and drove right into a 2005 Chevrolet Cavalier, which was headed south. The driver, 39-year-old Nathan Robertson of Novato, and his passenger, 31-year-old Elizabeth Robertson, both suffered major injuries and needed medical attention. Nathan was take out to Queen of the Valley, located in Napa, for treatment while Elizabeth was taken to Santa Rosa Memorial. Her injuries were slightly more minor than Nathan’s. Luckily for both of them, they were wearing their seatbelts, which stopped the crash from becoming far more serious. Castro Naal also had several injuries that needed to be treated. After taking her to Santa Rosa Memorial for treatment, the police then transported the driver to Sonoma County Jail. They charged the driver on two counts: one DUI causing injury with a blood alcohol level over .08 (no word on how far over the limit the driver was) and another for violation of probation. If more people had seen Castro Naal driving erratically, they might have had time to report the driver and stop any accident from occurring. The problem is that not everyone knows what signs to look for in a drunk driver. Moreover, they often reason that there could be other excuses for any erratic driving behavior. Maybe the driver dropped a pair of sunglasses or is reaching to change the radio station. If you see someone exhibiting one or more of these behaviors at a time, that driver may be drunk. Record the person’s driver’s license and call 911 immediately. You may be saving a life and stopping an accident from occurring. 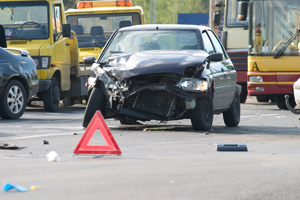 If you have a loved one who has been injured in an auto accident, you will need a Sonoma car accident lawyer with experience. Call Moseley Collins at (916) 444-4444 for a free consultation. Moseley Collins is a Sonoma County attorney serving those badly hurt throughout Northern California. There is absolutely NO FEE to discuss your case and there is absolutely no fee unless we win and get you the money you are entitled to. We are on your side and know what to do to get you compensation and justice.